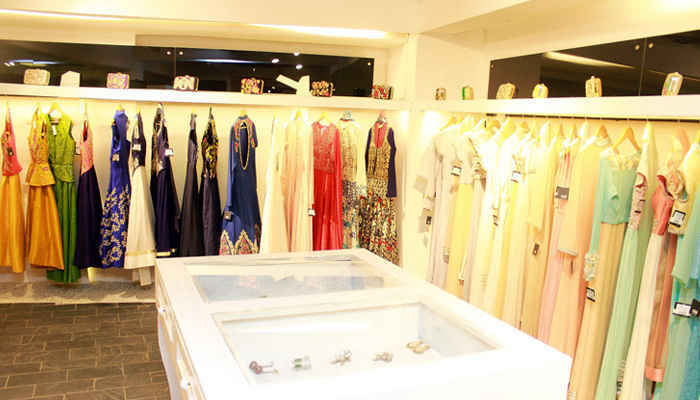 Touted as a boutique that caters to all your trousseau needs, Olé Couture in HKV offers the perfect mix of Indian ethnic wear as well as western-contemporary pieces. On offer is a range of kurtas, lehengas (both heavy and light), suits, dresses, tops, gowns, jackets and lots more. They also provide a range of party footwear, which saves you another shopping trip to hunt down matching shoes. You really need to jet-set to this one guys!